In hydroculture, also known as hydroponics, plants grow in a soilless medium known as substrate, where the roots anchor themselves. The substrate is usually sand or gravel and, unlike the soil in traditional planting, it does not hold nutrients. Hydroponic plants get nourishment from a water-based fertilizer. For succulents, make the feeding solution weaker than you would for other hydroponic specimens. 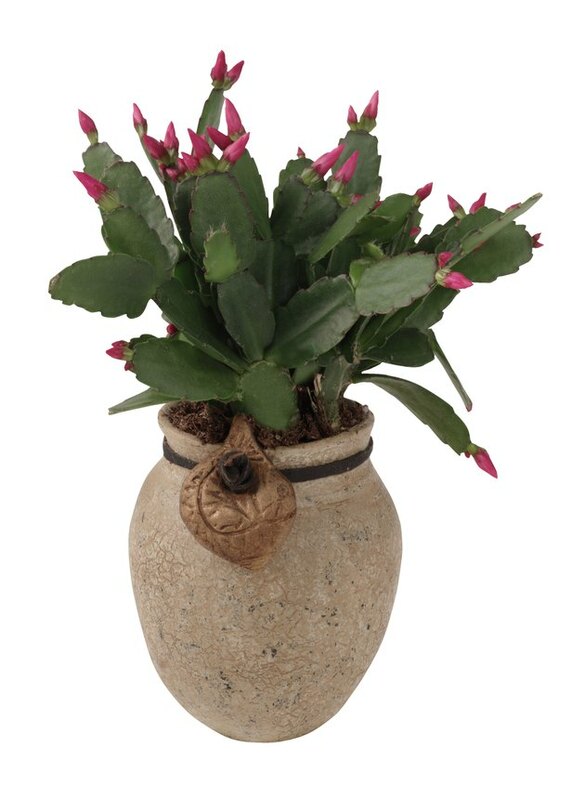 The Christmas cactus is a succulent. Succulents are plants that retain water in their leaves or stems, such as the cactus species. Adapted to dry climates, succulents look slightly to very swollen -- depending on the specimen -- because of the moisture they hold inside for times of drought. Douglas Peckenpaugh, author of the book "Hydroponic Solutions, Volume 1," says that gardeners have to follow two rules to successfully grow succulents in hydroculture: Dilute the water-based fertilizer to half strength and use a substrate that lets the liquid seep through. River sand, gravel, perlite and vermiculite are good options. Buy the material of your choice sealed in a commercial package to guarantee sterility and prevent diseases from transferring to the succulent. The purpose of soil in traditional gardening is to hold nutrients, according to the University of Alabama Cooperative Extension. When you water your plants, the minerals dissolve in the liquid and the roots absorb them. Plants grown hydroponically skip this step and sometimes grow faster as a result, since nourishment is always diluted and available in the water. If you capture the water-based fertilizer as it drains to feed it to your succulent multiple times, limit the food recycling to two weeks. At the end of that period, drench the substrate with water to flush old nutrient residue. After the medium becomes almost dry, begin to feed the plant a fresh batch of liquid feed. To prevent saturating your succulent with water, which can kill it, allow the substrate to become mostly dry before refilling the hydroculture pot with liquid feed. But also take care to not let the plant sit in a dry medium for long periods of time. The feeding solution for hydroponic culture provides the same nutrients that traditionally grown plants need. Nitrogen, phosphorous and potassium, as well as calcium and magnesium, are needed in large amounts and considered macronutrients. Minerals such as iron, zinc and copper are trace elements required in small quantities. Recipes for you to prepare your own hydroponic feed exist, but using a commercial formula is simpler. The manufacturer calculates all the ratios among the nutrients with precision and gives you the application instructions. You just need to remember to weaken the formula to half-strength with water.